Our taxi application development acts as a smart solution for a large number of smart travelers. With the help of our exclusive Taxi App Development, you will get easy booking facility with the most advanced User Interface to boost your interaction, allows higher conversion via comprehensive level of app solution. In addition, our taxi app similar to Uber aims to deliver you intelligent solutions to various challenges often faced by the entire taxi industry. Our team at iQlance offers taxi application development to operate on different platforms, including iOS, iphone and Android backend. Our taxi application solutions thus include a host of innovative features to satisfy passengers, drivers, administrations and dispatchers. Other than this, based on our uber taxi-app development expertise, we have succeeded to provide a variety of innovative apps to the taxi traveling industry. Need Help To Build Taxi App. If you want to get a taxi/cab service, you have to install our app and create your passenger profile. For this, you have to enter the details and create your id. Once you complete with your profile, you have to mention your current location i.e. the location, from where you want to get a taxi or cab. Next, our Taxi App Development service allows you to search cab drivers located or available at present at your nearby location. Indeed, you want to know detailed information about drivers before you book a hired car. For this, we provide you with the profile of available drivers and corresponding reviews given by other passengers in the past. Now, you have to finalize your booking for a taxi and select the destination location, where you want to go. Here, we will provide you both Ride Now and Ride Later options. After you confirm your booking, our app lets you to track the exact location of your booked vehicle or the booked driver. You have to make payment for hiring a particular app. Here the payment mode/type depends on the request made by your selected cab driver. Once you get the service of a taxi driver, we provide you with the facility to write reviews. As a driver of any taxi or cab company, you have to create your profile by using our taxi application solutions. Drivers get the facility to track both pickup and drop locations of passenger/passengers. Finally, drivers use our taxi app to request payment from passenger and that too in the selected mode/type of payment. We let you to use almost every type of payment methods i.e. Debit Card, Credit Card, Master Card, Visa card, Net Banking and many more. With the help of push notification, you will get information about passengers searching for nearby drivers. Based on the convenience, cab drivers may accept or decline the new ride request of potential passengers. In case you accept a new ride, you will get details about the trip (including the shortest possible route) to approach to your client. Once a driver analyzes the route and collect details about the entire trip, he should give call to the passenger. 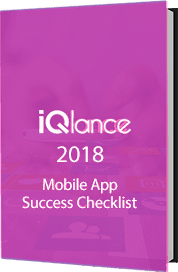 Our team at iQlance takes proper care of both passengers and taxi companies requirements, because of which we consistently gained good reputation as leading Toronto mobile app developers. Our app comes with personalized options with advanced customization features and integration based on specific business needs. These include, Passenger Apps, Driver Apps, Admin Apps and Dispatch Apps and so on. In this way, we provide you business-growing results. Transform your cab or taxi service into winning business enterprise.